Recent acquisitions add billions in revenue for the power and automation giant. ABB, the global power and automation giant, is seeing its U.S. investment pay off in the past few years. At the annual ABB Automation & Power World, the company announced its U.S. revenues were up 26 percent, rising to a record $6.7 billion in 2012. The growth was largely driven by its acquisitions, including the nearly $4 billion acquisition of Thomas & Betts, a Memphis, Tenn.-based supplier of low-voltage projects. 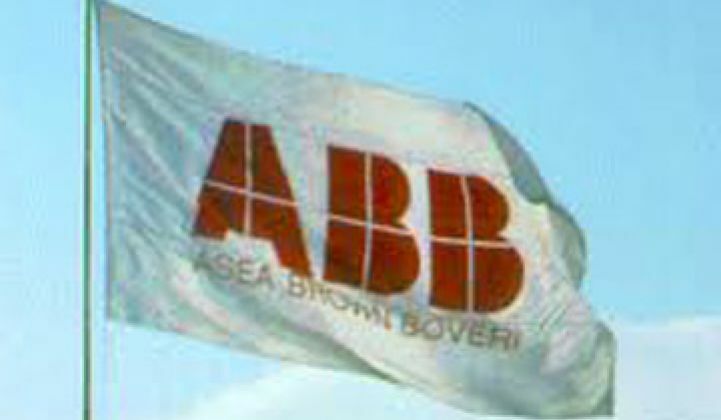 That one purchase added about $1 billion to ABB’s 2012 revenues. The company’s revenues have more than doubled since 2007, as it scooped up various companies, including Ventyx and Baldor Electric, to strengthen its North American position. The result is that the U.S. is now the single largest market for ABB, according to Enrique Santacana, CEO for ABB’s North America region. It is not just smart grid projects that are growing ABB’s business. The company found that its 12 percent organic growth came from sales of everything from robots and motors to low-voltage and energy efficiency products. In the short term, ABB is well positioned as the distribution automation market is growing, and is expected to reach about $3 billion per year by 2015, according to GTM Research. The grid giant is also well positioned as utilities become increasingly sophisticated about asset management. 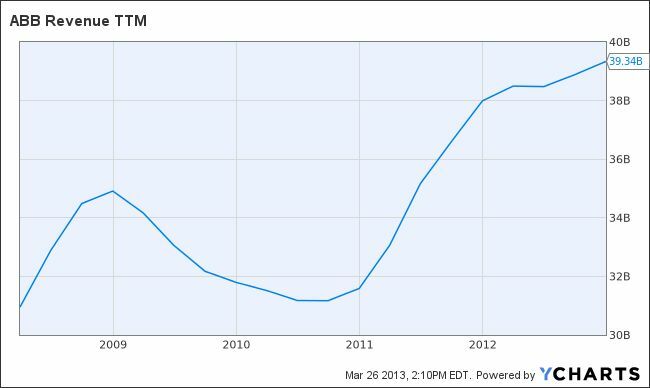 As electric vehicles and distributed generation proliferate, secondary transformer monitoring will become more critical. But ABB is already taking asset management one step further with American Electric Power to implement its new Asset Health Center. The platform integrates equipment-based operational technology from ABB with enterprise IT from Ventyx and then adds in operational and diagnostic expertise from the utility. The expected result is a sophisticated, automated system that can recognize performance problems and prioritize maintenance. Because Ventyx is integrated into ABB, it’s in stronger position than other grid giants to offer one-stop shopping for end-to-end asset health. The question now is how many utilities will want to make such an investment. ABB is also not done building out its North American offerings. Last year, Hogan said that his company is still looking for acquisitions that fill in some spots in automation and industrial control technology. Smart building controls, wind and solar integration technologies or water investments could all be up for consideration in 2013.